The holiday season is upon us, with Thanksgiving next week and Christmas just around the corner. 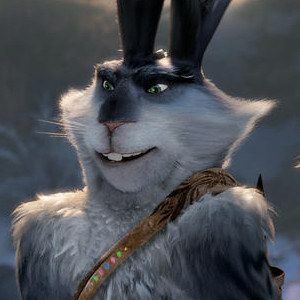 It's a perfect time for DreamWorks Animation to roll out their new animated adventure Rise of the Guardians, which features holiday icons such as Santa Claus (Alec Baldwin), the Easter Bunny (Hugh Jackman), and of course, that nose-nipper Jack Frost (Chris Pine). There is much more than meets the eye with these festive characters, as they all band together to ward off the nefarious Pitch (Jude Law). The studio has released a new clip that shows Santa giving Jack and the Easter Bunny a ride in his souped-up sleigh.